Reading Dandelion's thread on knitted toys made me realise that I don't generally post the non gardening stuff that I do and I always have something under the sewing machine and on the knitting needles. Most of the sewing is basic t shirts and jeans but I have been making bras and knickers recently (knickers from leftover t shirt fabric) - I'm sure you don't want to see those. 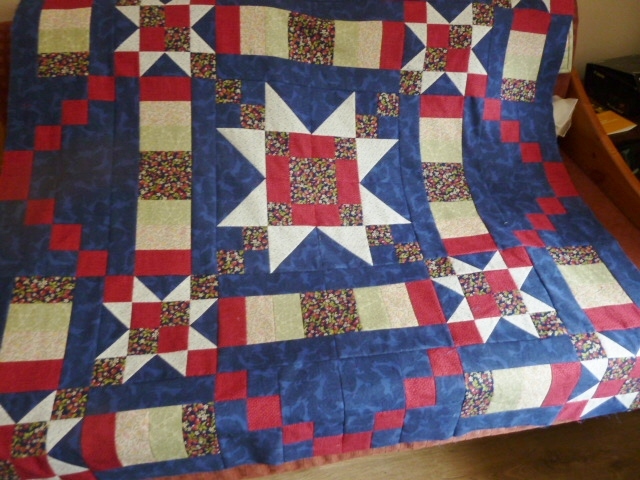 and a quilt I made for the Project Linus charity. 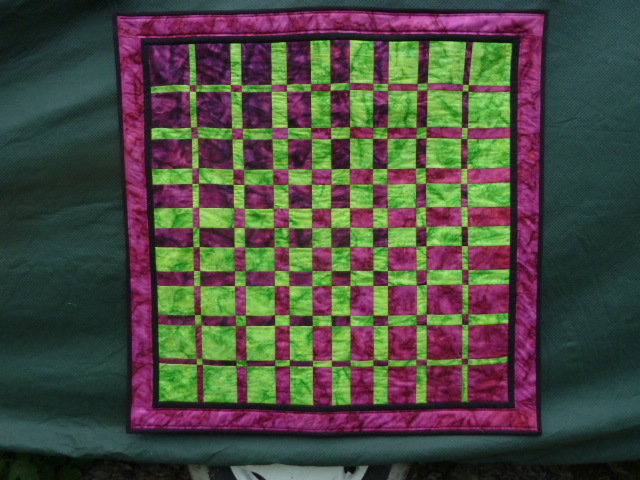 This one was made for a competition on a sewing forum - each entrant was given 2 colours for the basis of their quilt. I was the joint winner! The quilts were taken to the Festival of Quilts at the NEC and given to Project Linus. The quilts are lovely too. I like the geometric patterns. I always liked those early Roman mosaics that were monochrome geometric patterns. What a talented needlewoman you are, Ploshkin! As for the quilts, they are stunning. Oh, you definitely need an overlocker Flobear (says she with her devil's horns on). 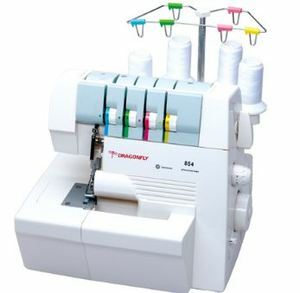 I really do use mine a lot and sew far more Jersey knits than I ever would have done without it. Unless I am doing something that needs a 'couture' finish on seams I will always use it for long seams on woven fabrics too which saves a huge amount of time. It's something I've thought about on and off for quite a while. 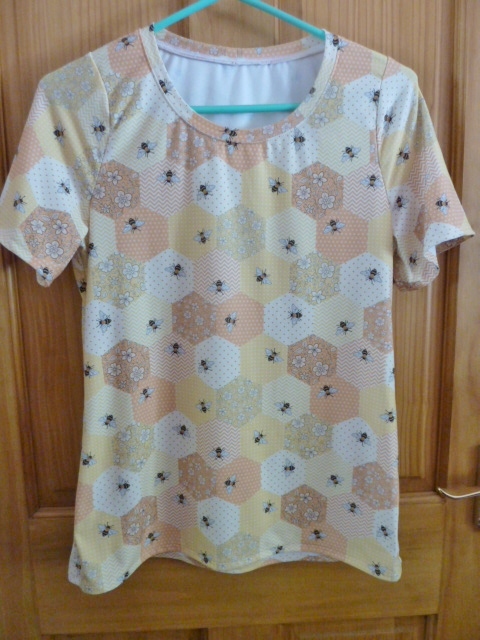 I don't sew many jersey fabrics but I'm guessing that if I had one I would find plenty of uses for it! The sewing machine repair man delivered my machine back to me on Friday and, in our general chit chat, mentioned that he had a barely-used old Pfaff overlocker for sale. Fully serviced and a year's warranty plus free delivery. I said I'd give it some thought. Half an hour after he'd left I sent a message to say yes. It was clearly meant to be!! Well.....? Have you got it, have you used it, what have you made? It came the next morning. I haven't done anything other than practise sewing and threading up. I intend to make a cover for it to start off with. I an eagerly waiting just to discover what a Pfaff overlocker is ! The four threads sew and finish the seam all in one go as well as cutting off a strip of excess fabric. 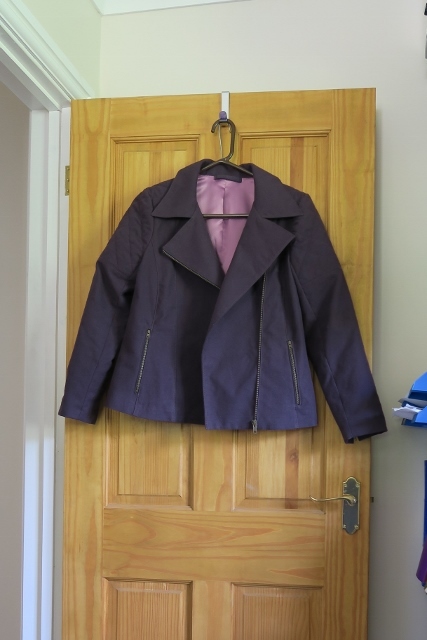 It is especially good for stretchy fabrics though can be used on most materials.